A week ago I implemented a change in my life--in my mothering. Here's an update. Julie Beck equated mothers to lionesses at the gate--and what's important to the lioness becomes important to the family. I thought about this for a long time. Are my priorities being transferred to my kids? Do they know what's important to me by how and where I spend my time? Since being asked in July to teach an Institute class every Thursday morning, I've spent an average of four hours a day studying, thinking, writing, formatting, and posting. It's so time-consuming but so rewarding. The one benefit I've noticed from all my time spent hitting the books is this: Every day when my little ones come home from school, I'm already sitting at the big desk in the library, elbow-deep in dictionaries, six marking pencils, two ball-point pens (pilot extra fine), a .5 mm mechanical pencil, reference books, scriptures, manuals, and eight different sizes of sticky notes (not lying about that--I take my sticky notes VERY seriously). They pull up their chairs, open their backpacks, and we all study together. I'm not helping them any more than I used to--which is minimal. I believe it's their homework, and my only job is to make sure they do it and answer a question if they have one. It's their job to do it and the teacher's job to teach it. How has this made a difference? Homework time still takes as long (or longer) than it ever did before. They still complain sometimes. But not only are we together, they know that I practice what I preach--if you put in the time, you can be proud of your results. I'm still working on the schedule--ironing out the bugs and making it more functional and accurate. I'm still making dozens of mistakes a week as Mom. But it's nice to see that one thing is sinking in. Today's the last day to enter my fantastic giveaway. If you haven't entered, click here. Isn't it interesting when you are there amid the crazy, things get done faster. I love your homework philosophy. Sounds like you are definitely on the right track, Jen. And I never get tired of looking at Evie's face. She is such a little pixie. 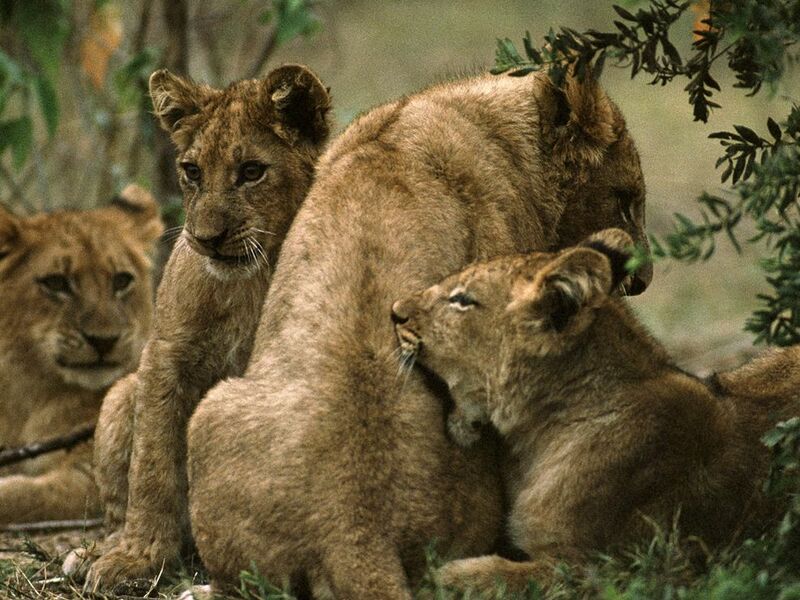 What is important to the lioness becomes important to the family...I LOVE that! Reminds me to keep my priorities in line. Good for you Jen! It is important to have something in our life that is ours. I am still searching for that "thing" which won't consume my family time. I do think it is important to show our children that we can do more than cook & clean. I am happy that you have been able to incorporate your teaching with your kids' schedules! Now let's talk about those gorgeous blue eyes!! You really are awesome. Thanks for your example, always. Loving that you all study together. You're doing an awesome job - hearing you makes me wish I could have a few do-overs, but I guess things turned out OK. And your Evie - so BEAUTIFUL! You definately have alot on your plate right now. I always have thought if you are doing good things and have the best interests of your family at heart you CAN make it work. You have done that here. Congratulations! P.s. I'm catching up a little after a hectic week - Your kids costumes are adorable and I love the picture of little Evie being scared by the awesome looking Zombie! What a great example for your children! I love that they get to see you work. Jen- you are such a great mom, thanks for sharing your tips in greatness!